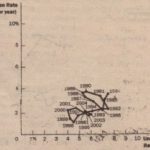 WHY WERE INFLATION AND UNEMPLOYMENT 50 LOW AT THE END OF THE 19905? As the 20th century drew to a close, the U.S. economy was experiencing some of the lowest rates of inflation and unemployment in many years. In 1999, for instance, unemployment had fallen to 4.2 percent. while inflation was running at a mere 1.3 percent per year. As measured by these two important macroeconomic variables, the United States was enjoying a period of unusual prosperity. 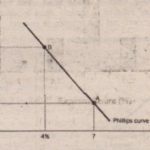 Some observers argued that this experience cast doubt on the theory of the Phillips curve. Indeed, the combination of low inflation and low unemployment might seem to suggest that there was no longer a trade off between these two variables. Yet most economists took a less radical view of events. As we have discussed through out this chapter, the short-run trade-off between inflation and unemployment shifts over ‘time, In the 199Os, this trade-off shifted leftward, allowing the economy to enjoy low unemployment and low inflation simultaneously. What caused this favorable shift in the short-run Phillips curve? Part of the answer lies in a fall inexpected inflation. Under Paul Volcker and Alan Greenspan, the Fed pursued a policy a timed at reducing inflation and keeping it low. Over time, as this policy succeeded, the Fed gained credibility with the public that it would continue to fight inflation as necessary. The increased credibility lowered inflation expectations, which shifted the short-run Phillips curve to the left. 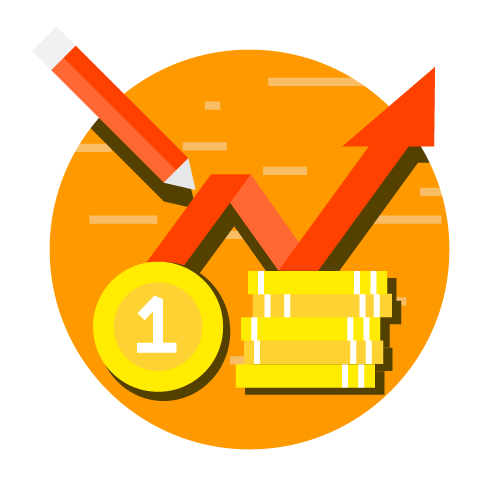 In addition to this shift from reduced expected inflation, many economists believe that the .U.S. economy experienced some favorable supply shocks during this period. (Recall that a favorable supply shock shifts ‘the short-run aggregate-supply curve to the right, raising output and reducing prices. It therefore both unemployment and inflation and shifts the short-run Phillips curve to the left.) Here are three events that get credit for the favorable shift to aggregate supply. • Declining Commodity Prices. In the late 1990s, the prices of many basic commodities, including oil, fell on world markets. This fall in commodity prices, in turn, was partly due to a deep recession in Japan and other Asian economies, which reduced the demand for these products. Because commodities are an important input into production, the fall in their prices reduced producers’ costs and acted as a favorable supply shock for the U.S. economy. • Labor-Marlcet Changes. Some economists believe that the aging of the large baby-boom generation born after World War II has caused fundamental changes in the labor market. Because older workers are typically in more stable jobs than younger workers, an increase in the average age of the- labor force reduces the economy’s natural rate of unemployment. • Technological Advance. In the second half of the 1990s, the U.S. economy entered a period of rapid technological progress. Advances in information technology, such as the Internet, have been profound and have influenced many parts of the economy. Such technological advance increases productivity and therefore, is a type of favorable supply shock. 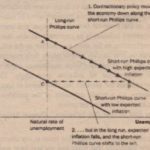 Economists debate which of these explanations of the shifting Phillips curve is the most important. Most likely, the complete story contains elements of each. Keep in mind that none of these hypotheses denies the fundamental lesson of the Phillips curve-that policymakers who control aggregate demand always face a short-run trade-off between inflation and unemployment. Yet the 1990s remind us that this short run trade off changes over time, sometimes in ways that are hard to predict.